Aikido is an effective, practical method of unarmed self-defense, promoting physical fitness, awareness, proper breathing, posture, and balance. The Aikido practitioner spontaneously blends with the power of an attack and swiftly redirects this aggression against the opponent. An entirely reflexive martial art, Aikido practice improves physical reaction, perception, and agility. Students perform specialized stretching exercises to improve physical and functional coordination. 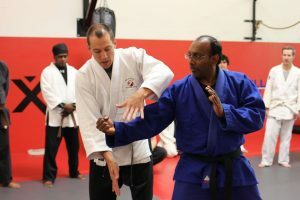 Aikido Baltimore encourages non-violence and is practiced in a safe, yet realistic atmosphere. Students are certified with the Japan Aikido Association when promoted. Unlike many other martial arts, Aikido does not teach hard punching or kicking. Instead practitioners utilize the entire body to off-balance, blend, strike, throw, and lock joints to incapacitate an attacker. It was popularized in the movies by Steven Seagal. Mr. Seagal is a real practitioner of Aikido, but the style he teaches is much different than the one taught at the Baltimore Martial Arts Academy. Aikido is extremely useful for self-defense because it is based on the concept that an attacker will have some sort of perceived advantage, such as superior size and strength, a weapon, or there are multiple attackers. Because of this premise, Aikido practice includes dealing with multiple attackers, knives, sticks, guns, and other dangerous situations. Techniques rely on blending with the power of an attack and redirecting the force rather than combatting direct force with physical strength. Maintaining posture and awareness are core principles of Baltimore Aikido that not only prove invaluable in personal protection situations, but can translate well into every day life. 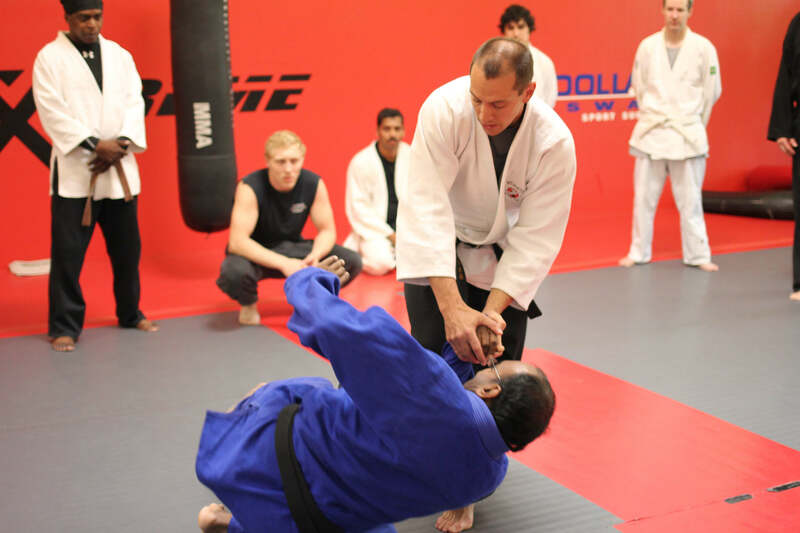 Additionally Aikido teaches students how to fall safely and react instinctively to loss of balance that can occur in sports, on the ice, in an accident, or in other common conditions. Baltimore Aikido techniques are commonly used by law enforcement officers as well as guards in various facilities because they are able to fully control a subject without causing permanent or life-threatening damage and without punching, kicking, or kneeing a suspect repeatedly in order to subdue him or her. 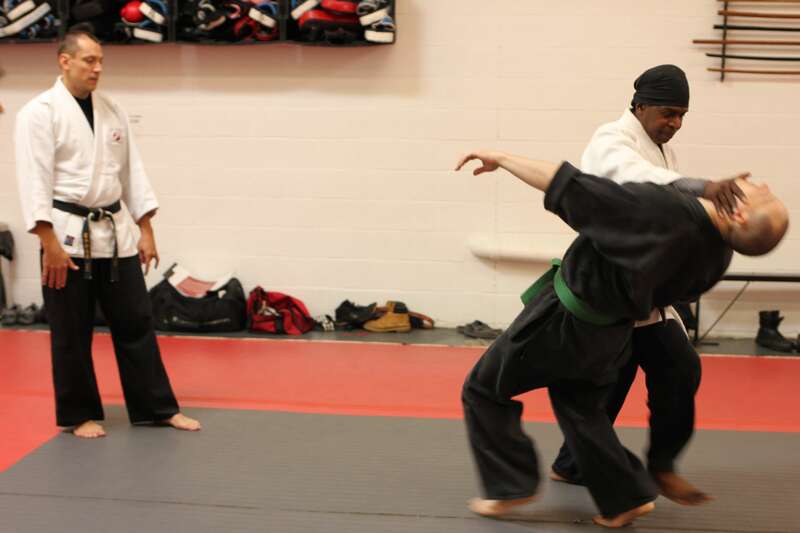 While we do adhere to some tradition, Baltimore Aikido classes at the Baltimore Martial Arts Academy are held in a relaxed, fun, and safe atmosphere. Our focus is on realistic application of technique first and foremost. Professor Morihei Ueshiba (1883-1969) founded Aikido after studying numerous ancient styles of Japanese Bujutsu (martial arts). Professor Ueshiba combined the practical movement from these arts and developed a new philosophy emphasizing mind-body coordination. Later one of Professor Ueshiba’s prodigy students, Professor Kenji Tomiki (1900-1979) added further modification, resulting in a fast, mobile form of combat. 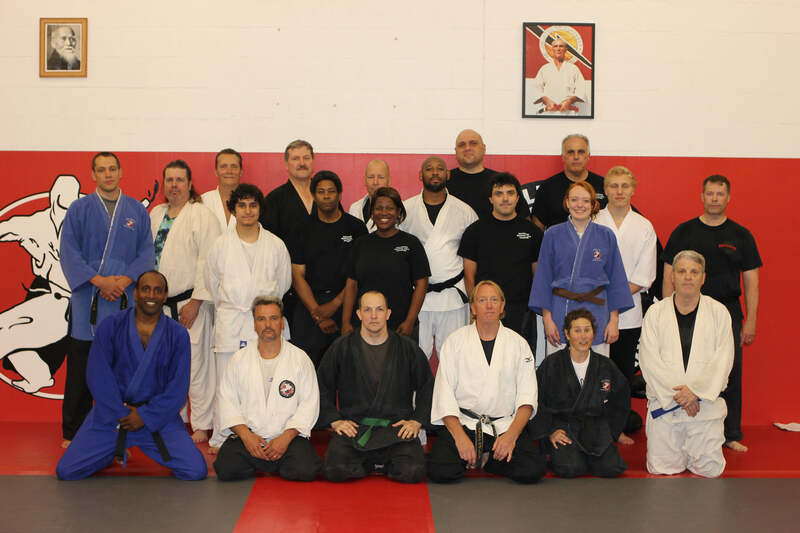 Tomiki Aikido is the style Baltimore Aikido that is taught at the Baltimore Martial Arts Academy. Atlantic Aikido was originally founded by Sensei Brian Sutherland. Sensei Sutherland is recognized by the Japan Aikido Association as a fifth degree black belt. 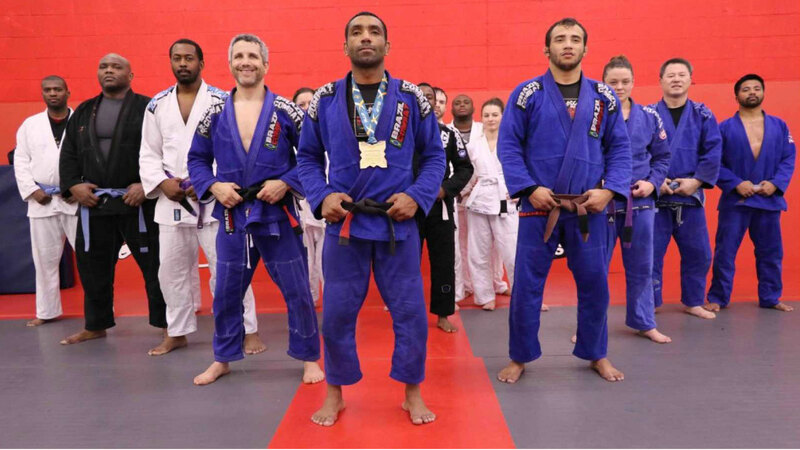 He also holds a third degree black belt in Judo as well as a black belt in Karate. Sensei Sutherland has been practicing and teaching Aikido since 1974. Sensei Sutherland is a nationally certified Police Self-Defense instructor with the U.S. Karate Association as well as a Psycho-Motor Skill Design Instructor with the Justice System Training Association. He has taught self-defense at countless organizations throughout the United States including the US Customs Service, the US Justice Department, Saint Elizabeth’s Mental Hospital, Atlanta’s Federal Prison System, the National Institute of Corrections, Georgetown University, UMBC, as well as many Baltimore City and County public schools and several local YMCAs. Brian Sutherland currently resides in Colorado. One of Sensei Sutherland’s lead students, Sensei Jeff Mim’s, currently leads the Baltimore Aikido program at Baltimore Martial Arts.